I remember the first time I picked up an Adidas Originals item: It was a classic blue with white stripes track jacket. This was during the '90s when the label was often worn by the era's biggest stars, such as Liam Gallagher and Kate Moss. I still have that jacket, and wear it often. Thing is, when it comes to the fashion industry, the lure of the three stripes has never really disappeared. At the end of last year, the brand revealed that it was out-performing its competitors, which is in part thanks to its sales of Stan Smith sneakers and its Superstar trainers. But there are so many more reasons why the brand has become so popular. Keep scrolling to read more about the history behind Adidas Originals, how to style it now and where to shop key pieces. Style Notes: While sponsorships of musicians might be common practice for brands these days, back in 1986 it wasn't. 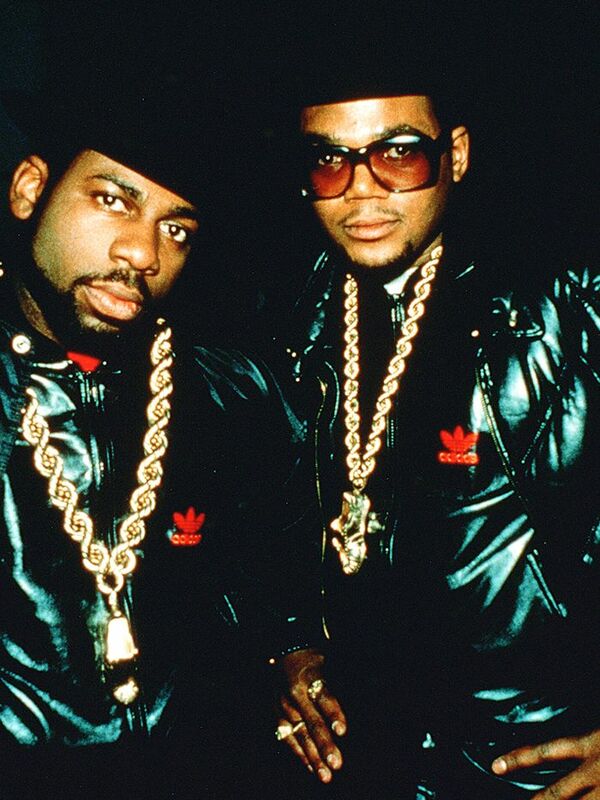 When Run DMC first released My Adidas, it was a real love letter to the brand—brought on by the band's dedication to wearing Adidas Superstars. But this led to the pioneering hip-hop group getting a $1 million endorsement from the sports brand. Following the deal, a limited-edition shell toe Superstar shoe was released (still available today), and "sales skyrocketed." This was just the start of the brand's integration into popular culture. Style Notes: In the '90s, Adidas's Gazelle trainers really took off. While they were originally created in the '60s, Brit Pop stars such as Oasis and Blur made it part of their uniform. But the one thing that made it the most "fashion" of brands? The fact that Kate Moss loved them and considers herself an "Adidas girl." Style Notes: The real turning point for Adidas Originals, when it came to the fashion industry, was Céline's creative director Phoebe Philo wearing the Stan Smith sneakers. Cue to this becoming the fashion shoe of the past few years. Style Notes: These days, it's usual to spot a pair of shell-toe Adidas Superstars in a variety of different colours during fashion week. Style Notes: The classic track pants have also become super popular among street style stars and editors such as Sarah Harris. Style Notes: Whether it's sneakers, trousers, or a top, the popularity of Adidas Originals will continue for the fashion industry. This is exactly the kind of piece to throw on over a floral dress or with a smart pair of trousers. Buy in a slightly bigger fit that your usual size and wear with a white shirt. Ideal with a smart blazer. If they're good enough for Kate Moss, then we want a pair.